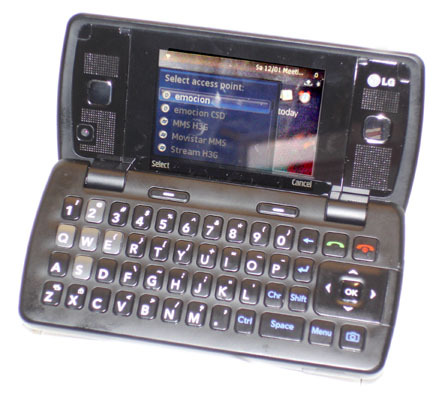 VGA screen and Qwerty keypad, anyone? Mobile World Congress Seoul-based phone maker LG has quietly shown the latest addition to its smartphone range - the LG-KT610, a clamshell handset with a 2.4in, 640 x 480 flip screen and Qwerty keypad. Details on this handset have been sketchy, but we can say it runs on Symbian 9.2 and the S60 user interface. According to LG, the KT610's users can "take full advantage of a rich suite of multimedia features and applications". There's a two-megapixel camera on the back and 64MB of memory inside. A Micro SD slot will cope with cards of up to 2GB. It also offers tri-band GSM/GPRS/Edge and 3GB HSDPA connectivity at 3.6Mb/s, and there's also push email functionality as well as "working" and "socialising" features. 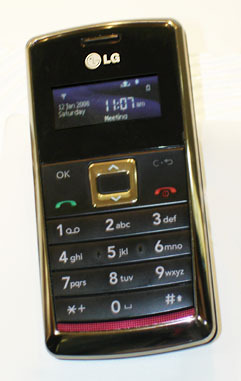 The KT610 closes to form a slimish candybar handset with a 1.45in, four-line dispay. Details on availability and pricing are not yet available.